This story of raging comedy and despair centers on the tempestuous marriage of an heiress and a Vietnam veteran. From their "carpenter gothic" rented house, Paul sets himself up as a media consultant for Reverend Ude, an evangelist mounting a grand crusade that conveniently suits a mining combine bidding to take over an ore strike on the site of Ude's African mission. At the still center of the breakneck action--revealed in Gaddis's inimitable virtuoso dialoge-is Paul's wife, Liz, and over it all looms the shadowy figure of McCandless, a geologist from whom Paul and Liz rent their house. As Paul mishandles the situation, his wife takes the geologist to her bed and a fire and aborted assassination occur; Ude issues a call to arms as harrowing as any Jeremiad--and Armageddon comes rapidly closer. 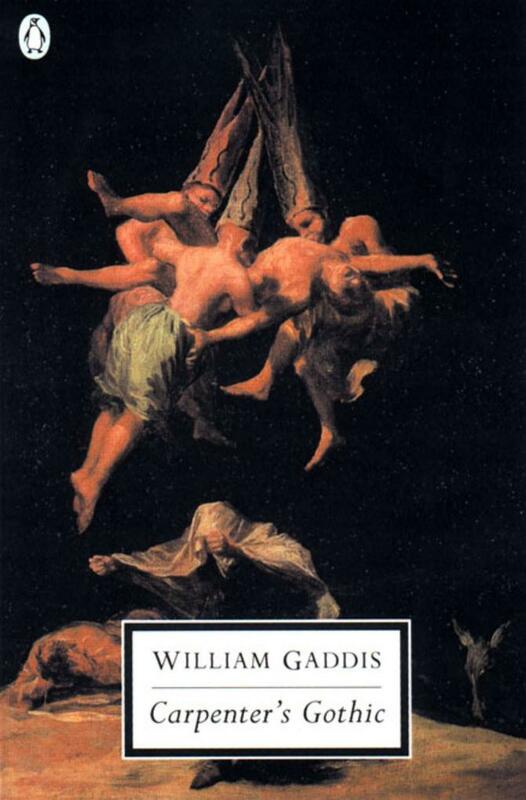 Displaying Gaddis's inimitable virtuoso dialogue, and his startling treatments of violence and sexuality, Carpenter's Gothic "shows again that Gaddis is among the first rank of contemporary American writers" (Malcolm Bradbury, The Washington Post Book World). William Gaddis (1922-1998) was a master of the American novel who was frequently compared with Joyce, Nabokov, and Pynchon. Two of his novels, J R and A Frolic of His Own, won the National Book Award. He was a member of the American Academy of Arts and Letters and the recipient of a MacArthur Prize.